Writing in Mathematics as opposed to Literacy in Mathematics, is my focus here. This post is not a rant but instead a reflection on my expectations of students work. Recently, I was observed with a particularly able Mathematics class and as a result, an area that I need to work on is feedback and bookwork; ensuring that my students writing is good or better! My aim is to share my thoughts and search out ways of improving writing in my lessons as well as the lessons of those teachers who I support in my home school and in the wider setting of our learning federation. Sounds like a comment that a student would teasingly say to a fellow student, right? Wrong! These were the actual words that fell from a colleagues mouth (or should I say, crashed into the room) and still reverberate in my ears today! This response was given after a year 11 student bravely went up to the board to label a set of axes. My first thought was this, ‘give the kid a break!’ and the second was ‘does it really matter as we can all read it?’. I know that I would not have made this statement, even if that was what I was thinking but does this mean that I have low standards? Has my level of tolerance changed since working with children? Are my expectations of writing lower because I teach Maths and not English? I’m going to consider this and and break down my thoughts for you. Some students struggle to write and I’ve witnessed pages in Maths lessons where the writing is oversized or ridiculously small. “What is the research evidence on writing?” by the Department for Education is a good read and looks at whole school approaches, intervention and gender differences too. The following table is from this report. The fourth item was of particular interest to me as a teacher of Mathematics “A pupil who writes well gets better marks than someone that doesn’t“. I tell students that the examiners don’t know them and that they need to ensure that their writing is clear but they don’t all listen. I’m starting to think that they do listen and they just can’t help themselves; this is their best writing. But should I or an examiner be marking them down for the way that they form their ‘a’ or their ‘9’? I hate to say it but it is going to happen if the work is not legible. Do you really hold your pen like that? I’ve seen students holding their pens as though they were in the midst of hollowing out a pumpkin or stirring a bowl of soup but they are still able to write legibly. So does it really matter how you hold your writing implement? Having thought about it over the past few days, I’d say yes. I say it matters because this may lead to problems and injuries with these students hands, arms (and posture) and could lead to students not being able to sit through the marathon exams (1 hour and 30 minutes or more, of diehard writing). Poor writing technique has got to be similar to the effects of having poor posture, which most of us correct in students “don’t slouch”, “try to sit up straight”, “…don’t bend like that or you will hurt your back!”. I can’t remember saying “don’t grip your pen so tightly!”, or “make sure you thumb is lined up with you forearm”, to a student. Should I, as a teacher of Mathematics be looking out for these things or even making students aware by mentioning this to them? To be honest I don’t know. If you are interested, RJBlain provides photographs and details of what you should look out for. Tools to help improve writing. I remember having handwriting lessons when I was at junior school but nothing at secondary. I imagine it’s the same now (primary teachers please correct me if I’m wrong), where students are taught how to hold a pen in KS2 but by KS3 if they have not mastered it, not much time (if any) is allocated to this skill. If you have students (or your own child) that struggle to hold a pen/pencil comfortably and you don’t know how to help, visit Draw Your World. 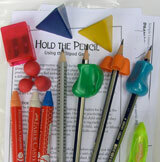 They have useful information on what to do as well as tools to help improve writing. When I first started teaching, one of the things that really let me down was my board work; it was a mess! Whatever, I was thinking and deemed important for students to get into their books, I would add to the board …”don’t forget to put this down too”. I remember clearly when things changed. My university mentor (an amazing lady and educationalist; Laurinda Brown) had visited me at one of my placements to observe a lesson. We were reviewing the lesson and she asked me to get a few books. I didn’t see where she was going with this until I looked at the books and then looked up at the board…you guessed it. The students had copied the board to their books and it was not good. Consequently, I regularly step back from the board to ensure my work looks tidy and on occasion will sketch out what I intend to write if I’m using two boards (whiteboard and projected images). By ensuring that my board work looks good, I expect my students to follow my lead, but my recent observation flagged this. 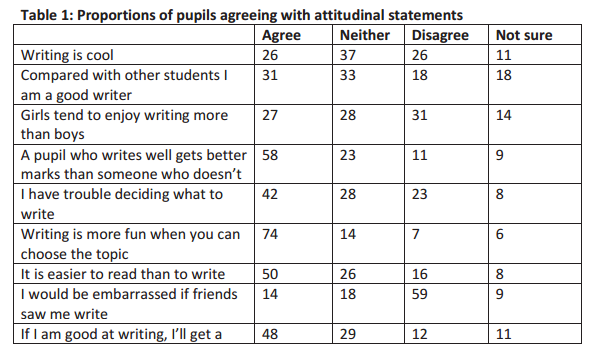 How can I get my students to write better and make their work more presentable? Should I really push for all students to have the same style of writing? Some primary schools insist on students taking one square per digit / letter in their Maths books. Each digit and letter needs to be two squares high please, anything else is unacceptable…I will be checking and measuring this with a ruler! I will continue to request and expect a high standard of layout and presentation from my students but I may have to steal/photocopy a few pages of work to display as exemplars. Hopefully this will prompt other students to get their work to a similar high quality. Practice makes perfect; students need to write daily. I will make writing an integral part of my lessons and persevere when the class moans and groans “…but Miss, this is a Maths lesson NOT an English lesson!”. I need to practice (or should that be practise with an s?) my writing on paper and guarantee that when I give any written feedback in my students book, it is legible, even when I am tired. Thank you for these fascinating reflections – I often struggle with maths teachers saying that writing in maths just doesn’t matter and this post will be a great focus for them. Whether or not your next lesson is grading outstanding, this post provides an excellent focus for maths teachers to reflect on. Good work! I feel as though this is a bit of a mission for me…a quest for excellent writing in Mathematics! Thanks for taking the time to read and taking the time to make a comment. Pen/ pencil grip is established in reception. Very difficult to change after that! Completely feasible to change after you’ve learned–it takes effort, and a lot of it, though. Most people don’t want to be bothered with putting in that much effort, though.